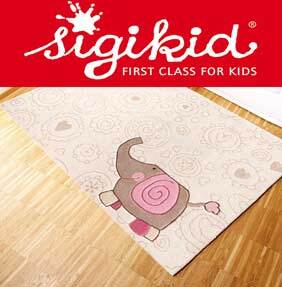 Sigikid rugs, a funky and fun range of high quality, handmade children's rugs, each rug is full of colour and incorporates a cute timeless theme. This range is ideal for playrooms, children's bedrooms / nursery's and even schools and nursery's. Designs include street cars, jump, happy friends, happy zoo, elephant and crocodile.